It’s Saturday! In our household, that means a little more sleep in the morning and perhaps a nap in the afternoon. We treasure those 30 extra minutes. Remember college? In college, time was on our side. Naps were luxuries we took for granted. Now here we are: fifteen years have passed and five children later. Time matters a whole lot! The children are consistent early-risers. They are punctual little creatures. They love time. They love it so much that even without an alarm clock they detect that 6:30 is coming. They are not allowed to leave their rooms until 6:30. I am not fully awake then, but I can hear them coming. Sometimes they come silently. Sometimes they come like hungry warriors. But they come…consistently. My lovely wife makes the first move. She is more courageous than I am that early. She does it without flinching. “What a mom! and where does that magical strength come from?” I think to myself. Breakfast is ready. Children are fed. Sometimes the beach is a fine option. Soccer games. But the last few hours of Saturday are sacred. It’s our preparation for Sunday. On late Saturday afternoon, we begin our preparation for worship. Sunday mornings with five little ones can be a challenge. We try to go to bed relatively early. We usually make no Saturday evening appointments. Saturday evening is sacred in that we prepare ourselves for the sacred gathering. It is almost a ritual for us. Ironing and showers are constant activities before dinner on Saturday. If we are hosting on Sunday it demands extra effort from our team on Saturday. Preparation is key and we begin the preparation early so Sunday doesn’t become late. Sunday arrives. The man of the house is also the pastor of the Church. He begins to prepare himself psychologically for the service. Sermon notes run through his mind; mental editing begins and really never stops until he begins preaching. He begins to hum through the psalms and hymns. Sunday mornings are created equal. It is always hard work but made infinitely easier by Saturday preparation. When guests are coming over after church, we work even harder Sunday morning. “Is the beer in the fridge for the guests?” “Are the floors clean?” “Are the plates set?” “We need to leave in the next ten minutes!” The excitement builds. We love Church. We prepare for it. But with little children nothing is easy. There are a thousand things that can go wrong, but remember we have begun our preparation on Saturday. Mommy prepares herself. She makes sure that her war tools are ready: Diapers: check. Milk: check. Snacks: check. “I think we are ready!” She has her army under control. “Where are my clerical collars?” I ask. I have so many of them, but they never seem to be in the same place they were seven days ago. It’s naive of me to think they will be. But that is my liturgical pattern every Sunday. “Children, what day is today?” “The Lord’s Day!” “What do we do today?” “We worship God and sing His praises.” Yes, we do all these things, but it’s been a long journey until that moment. We died in one hundred different ways during the week, so we can be brought to life on the day of Resurrection. “Live the liturgy,” says the preacher. We are trying. It’s extremely challenging. It’s really very sanctifying. It’s holy work. Yes, it is. In an age when Sunday worship is treated with profound disrespect and viewed with triviality by the evangelical population, we need a return to its sacredness. I edited a book several years ago that developed this theme. Yet, a missing part of the puzzle in my estimation is how to prepare for Sunday. I have been asked if there are some practical steps to preparing for Sunday. I offer here few thoughts which are not exhaustive and which can vary dramatically depending on family dynamics but may prove useful to starting this needful conversation in the home. a) Ironing clothes on Saturday instead of Sunday morning has proved essential to our well-being on Sunday. Though we are not prone to sleeping in on Sunday, we discover that on the rare cases where ironing happens on Sunday morning, it adds almost 30 minutes to iron clothes for seven people. b) Getting showers for the little ones on Saturday instead of Sunday morning. 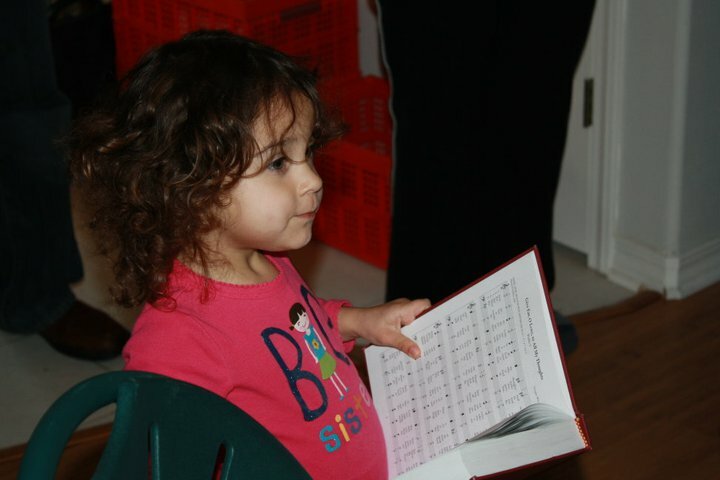 c) Going over Bible texts and/or hymns will go a long way in making Sunday more understandable for the little ones. We have noticed that if a song has been practiced during the week, their Sunday participation is much more pleasant. d) If hosting on Sundays, prepare tables or lay out the essential ingredients for the meal on Saturday. The children can be trained to get their rooms clean and living room area prepared for guests. This will take some practice, but when children participate in the preparation they benefit more from the event. e) We rarely participate in events on Saturday night. It’s our family commitment to use that evening to calm our hearts and minds for Sunday. It is my firm conviction that this seriousness in preparation will cause your children to see your commitment to the holiest of all days in the week. Machen was deeply concerned about where the lines were being drawn. He was sure that if we abandoned this battle, we would be swallowed up by heresy and forsake the tremendous work of our godly forefathers. He saw liberalism as another religion altogether; a totally different class of religious expression than Christianity (7). He saw the resurrection, virgin birth, and the divinity of Jesus being threatened on a consistent basis. But, he argued, these are the battles worth fighting; they are the hard battles of the faith. Once we lose the creedal ground, we will sink into oblivion. For Machen, this was not an option.